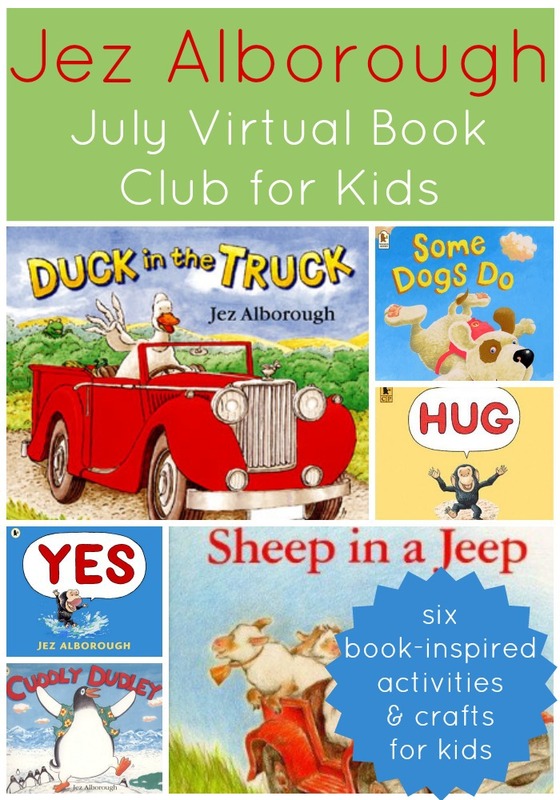 Our July Virtual Book Club for Kids author is Jez Alborough ! Each month for Virtual Book Club for Kids we feature a new author. You can find many of the posts we've shared over the past year on our VBC Pinterest Boards. Below are a few of the authors we've featured. We'll be announcing our author line up for 2013-2014 in a few weeks! You can also connect with us on our Virtual Book Club for Kids Facebook wall. Today I am planning to share SIX Jez Alborough books with you along with SIX book-inspired activities you could try before, during, or after you read the books. 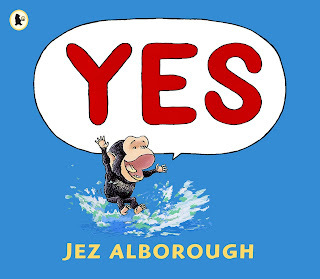 Later this week I will also be sharing an exclusive activity with you featuring our favorite Jez Alborough book! There are so many good ones... it has been hard to choose! 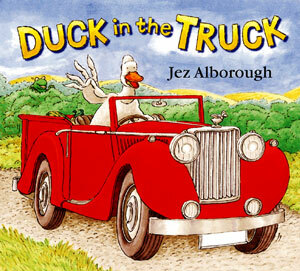 Duck in the Truck is a book about a duck who gets stuck in some muck with his truck. :) (Can you say that three times fast?) He gets helped by several friends. Activity idea: Make your own muck and then drive some little trucks through it! 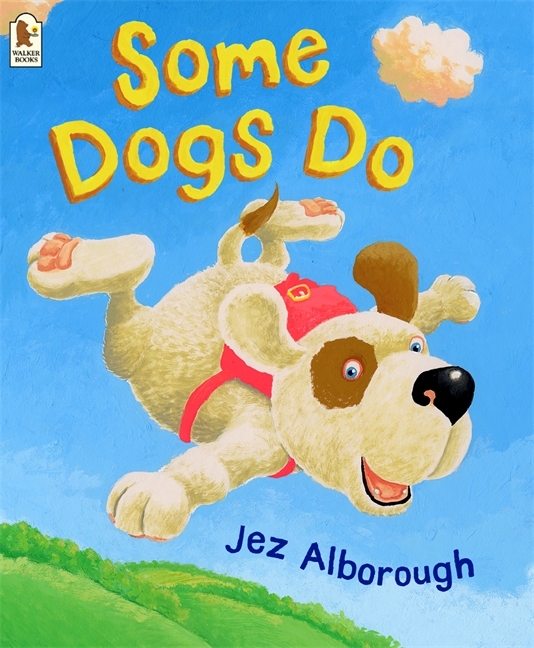 Some Dogs Do is a book about a little dog who says he can fly, but no one believes him. Activity idea: Make some doggy ears and then go jump around the house and pretend you can fly! Simple activities are always our favorites. You can try making these dog ears like we did when we read RRRalph and then use them to help you fly around. 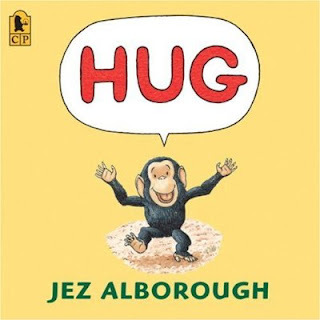 Hug is a book about a chimp who wants a hug. He goes around everywhere getting hugs, but they are just not right. He eventually finds the hug he wants from his mom! Activity idea: Make a paper hug! You can find the instructions to make a paper hug over at No Time for Flashcards. Once you've made your hug, give it away to someone you love. Yes features Bobo, the same chimp from the book Hug. This time he doesn't want a bath. The book goes through what happens as he responds to his mom saying "no" and how he solves his problem and gets to bed. Activity idea: Have a YES day! Although the Yes Day post by Here Come the Girls relates to a different book, I think it works great with this one too. What would've happened if Chimp's mom had said yes? I also love their awesome Yes Day agreement. Cuddly Dudley features a penguin who feels that he is loved and cuddled too much. He decides to take off on his own and finds a place to be alone... until the owner returns. Activity idea: Do some penguin bowling or make an easy paper roll penguin craft. Learn Create Love shares several penguin crafts and I love this toilet paper roll one. It would be perfect to make and use to retell the story of Cuddly Dudley. 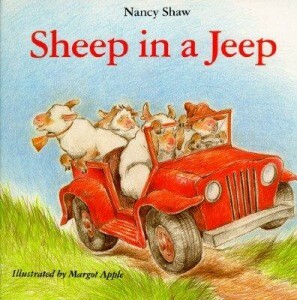 Sheep in a Jeep is a funny story about five sheep that go driving around in a jeep together and make a mess in the mud. Activity idea: Make a sheep in a jeep craft! Life in First Grade shares how to make these simple sheep in a jeep. Younger kids might need helping cut out the sheep and jeep pieces or you could having everything pre-cut so that the kids just have to glue things together. What is your favorite Jez Alborough book? If you have blogged about it, we'd love for you to link up your post in the linky below! We can't wait to see all of your amazing ideas! Link up only posts inspired by Jez Alborough that share children's book inspired crafts, activities, recipes, etc. Any other posts will be deleted. Add our Virtual Book Club button to your post if you'd like. Here's the button you can grab if you are participating! 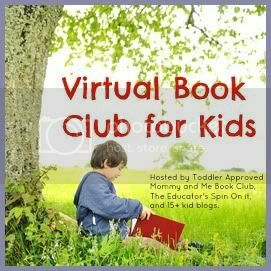 You can also find loads of Virtual Book Club ideas organized by author on our Virtual Book Club for Kids Pinterest Board that we just started and will continue to be adding to! 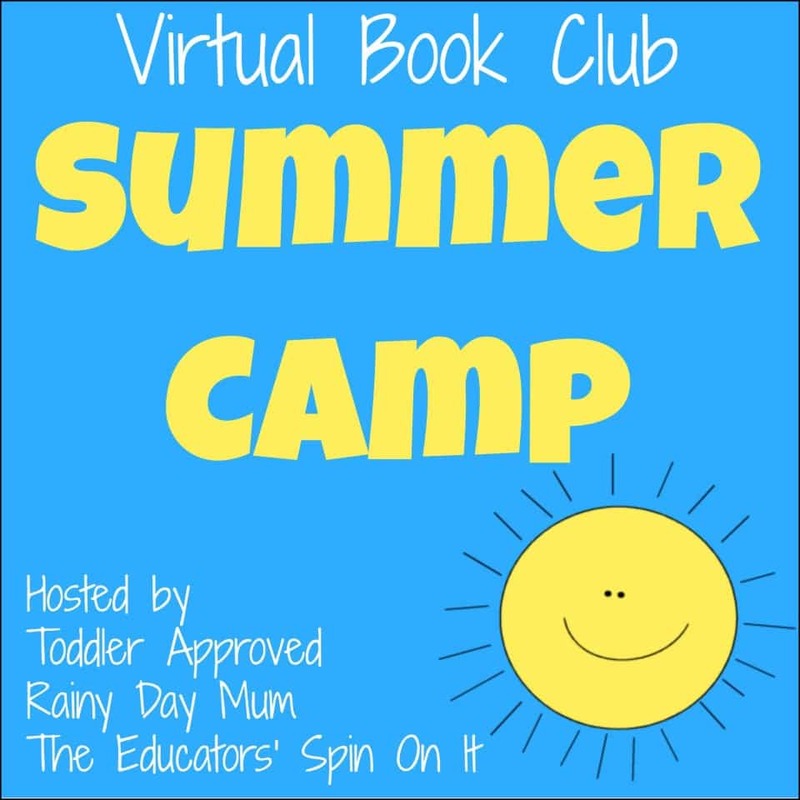 Come sign up for our Virtual Book Club Summer Camp if you want to fill your summer with books and learning fun! Just click on the image below to register! We are currently in week 4! Disclaimer: This post contains affilate links. Click here to sign up for our Virtual Summer Camp planner and newsletter. Camp starts in one week!